Make a lasting impression when you take out your business cards from this stylish visiting card case. The gussetted pocket allows you to hold a good number of cards and the extra slip pockets can be used to elegantly hold the business cards you receive. This versatile leather accessory can also be used as a mini wallet, useful when you only need a few cards and some notes; ideal for night out or on holiday! 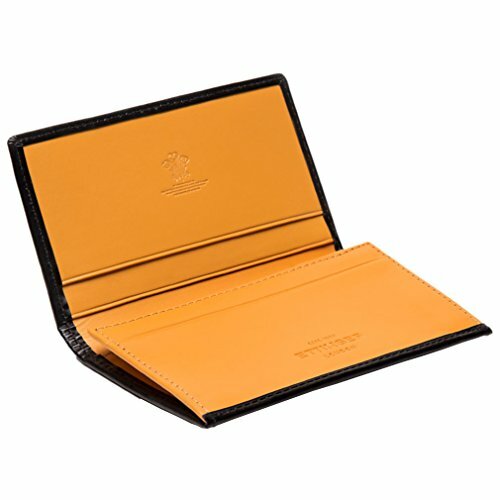 This Visiting Card Case is from the Bridle Hide Collection, using traditional bridle hide and Ettinger's signature vegetable tanned panel hide in London Tan inside. Also available in 8 colours on the outside. If you have any questions about this product by Ettinger, contact us by completing and submitting the form below. If you are looking for a specif part number, please include it with your message.